What are the Benefits of Family Sculpture? 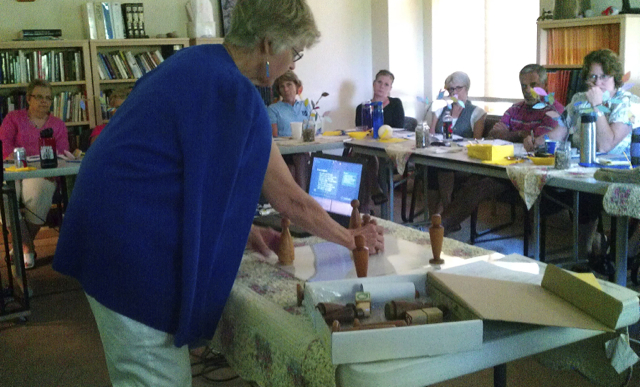 Demonstrating KST in an agency’s staff retreat. 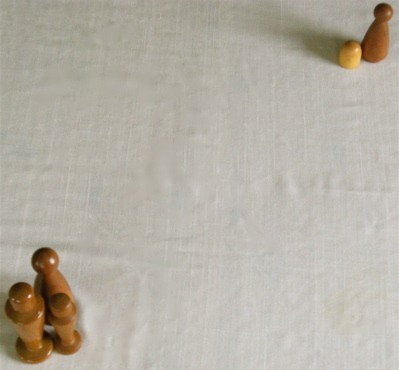 Julie Thorsheim, ACSW, of KST Associates, provides consultation and training in representational family sculpting and other interactive techniques to contribute to skills development of professional social service personnel and mental health clinicians in both the public and private sector, including community mental health agencies and private practice. 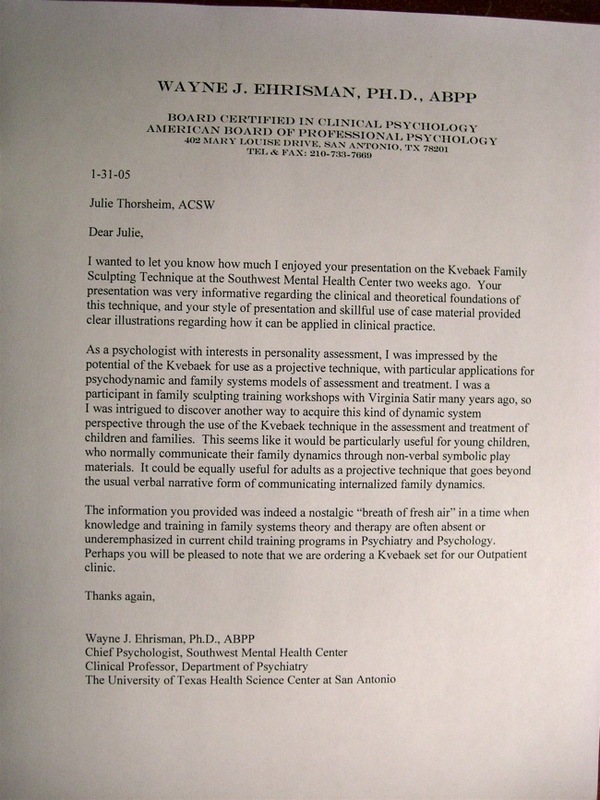 Following one such Clinical Training Seminar, Dr. Wayne Ehrisman, Chief Psychologist, wrote Thorsheim saying, “I wanted to let you know how much I enjoyed your presentation on the Kvebaek Family Sculpting Technique at Southwest Mental Health Center two weeks ago. Your presentation was very informative regarding the clinical and theoretical foundations of this technique, and your style of presentation and skillful use of case material provided clear illustrations regarding how it can be applied in clinical practice.” He called the presentation “a breath of fresh air.” From his perspective as a clinical professor in the Department of Psychiatry at The University of Texas Health Science Center at San Antonio, he wrote of the importance of renewing an emphasis on knowledge and training in family systems theory and therapy in current child training programs in departments of Psychology and Psychiatry. To read Dr. Ehrisman’s letter, click on image. Copyright 2019 Kvebæk Sculpting Technique. All rights reserved.